Congratulations to ECWC Alumna, Lori Roy. 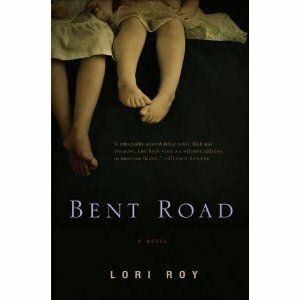 Her debut novel, BENT ROAD, hits bookshelves today! Check back here for an interview with the author and also check out your local bookstore to pick up your copy! If you are in Florida, Lori has some appearances coming up, stop by and show her some support! For dates/times, and coverage of the rave reviews from places like NPR and People Magazine, etc., please visit her blog, website, or, of course, find her on Facebook! Her poem “At the Crossing,” which she had workshopped with Professor Emeritus Peter Meinke at the 2009 WIP and published in the 2010 Eckerd Review and Bacopa, was selected by editors at Bennington College to appear online this May in plain china: Best Undergraduate Writing 2010 (http://plainchina.bennington.edu). Angie’s poem “Chores by the River Ouse,” also published in the 2010 Eckerd Review, received Honorable Mention in the 2010 Writer’s Digest Rhyming Poetry Contest and won First Place in The Lyric magazine’s 2010 College Poetry Contest. It will appear in the winter edition of the magazine (http://www.thelyricmagazine.com). Congratulations, Angie! Keep up the fantastic work! You are currently browsing the Writers in Paradise Alumni blog archives for March, 2011.